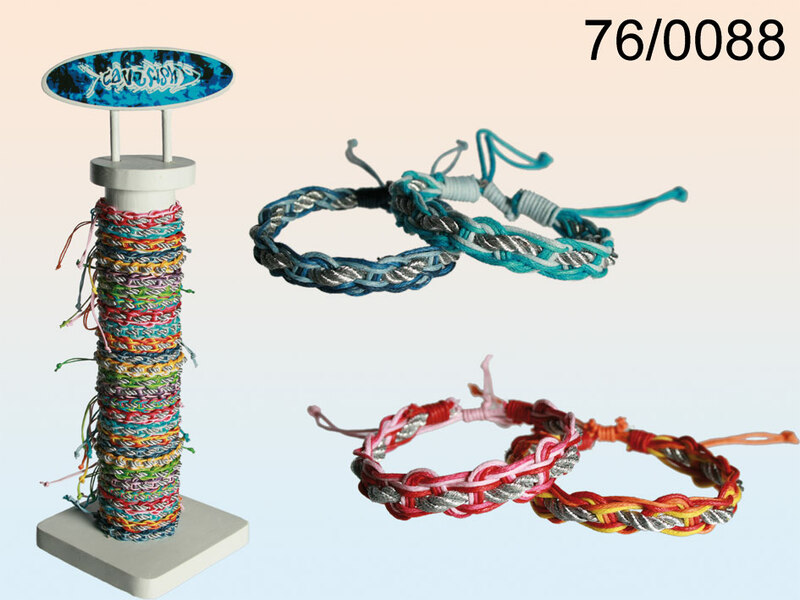 Bracelets available in various colour versions. Made of cotton. Every bracelet has a silver thread. Assorted patterns. When buying 96 pieces the display stand is free of charge.